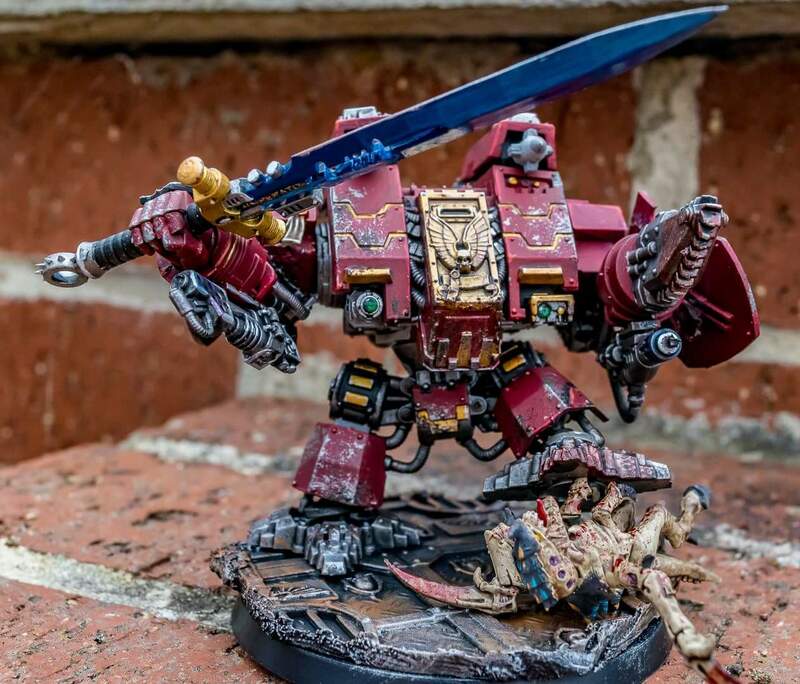 The tOther Army List: Dreadnoughts everywhere! collection is slow growing and mainly made of dream lists. I enjoy making army lists, either tied to fluff, competitive or a mix of the 2 (my preferred choice). Not a release goes by that I don’t contemplate collecting an army for and to that end I draw up several lists. These become my dream lists. Rory has asked me to draw up some articles on list and army building because of this habit of mine and I am more than happy to share my insights. Now, bear in mind these lists are not going to be to everyone’s tastes, nor are they all designed to be massively competitive. They are designed to be fun and follow themes. Introductions over let’s get into the first one! With the Dreadtober event just finished I figured I would look at the potential for a dreadnought heavy list. 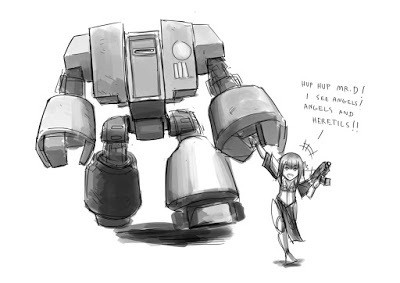 I’ve seen a few doing the rounds online, advertised as dreadnought lists but these tend to be Unbound or 50/50 dreadnoughts to infantry/vehicles. I wanted to see if I could create a bound list, to 1850 points, where the majority was dreadnoughts. With that theme in mind I did some research, looking at all the dreadnought options available out there, from special characters, to Forgeworld and back. I came up with what I think is a viable Dreanought List that’ll have the benefit of being fun to play. Bray’arth Ashmantle – A forge world special character dreadnought from their badab War books. He can be taken as your warlord only if there are no other HQ choices in the army. He’s an ironclad with some extra rules, chief of which means that his armour values cannot be adjusted and you can never roll more than 1 dice for penetration. 3x Space Marine Dreadnoughts – All with Assault Cannons, Powerfists and Storm bolters. This is my Tactical squad of dreadnoughts, flexible and a threat to almost anything you can put on the board in a game of 40k. 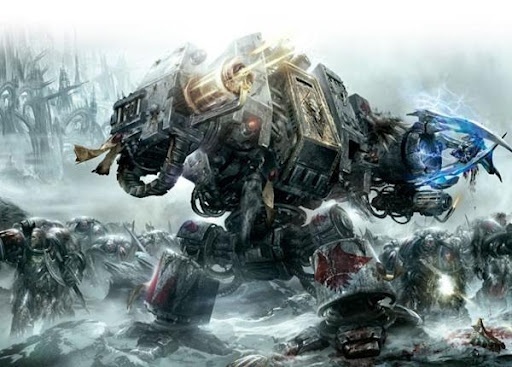 3x Ironclad Dreadnoughts – 2 with power fist and chain fists, 1 with power fist and seismic hammer, each has a meltagun and a heavy flamer and all have ironclad assault launchers. This is the Assault Squad, designed to charge forward and destroy enemy units in close combat, though their weapons give them some flexibility vs infantry and tanks. The assault launchers are a must to avoid initiative penalties when charging into cover, something which is the bane of some races assault troops. 3x Venerable Dreadnoughts – Twinlinked Lascannon and Missile Launcher on two and twinlinked lascannon and powerfist and storm bolter, on the sarge. This, as you have guessed is my Devastator Squad, designed to be accurate with their high strength firepower for shooting at vehicles and the like. Venerable gives them WS and BS 5 with the latter ensuring those lascannon shots will almost always hit. 2 Scout squads – 5 members, all with bolters and camo cloaks. Keeping the points low allows for more points to go onto dreadnoughts, though these scouts are still useful in that they provide a couple of objective secured units with infiltrate. The camo cloaks increase their survivability as the +1 cover save stacks with stealth(from night fighting if it goes off) and means that you generally will have a 3+ cover save in ruins. As salamanders they also have a 4+ FNP vs flamer weapons, the most prevalent ignore cover weapon in the game. There are no fast attack dreadnoughts, and using squads of dreadnoughts prevents me putting them in drop pods. No points spent here, which just means more for heavy support. 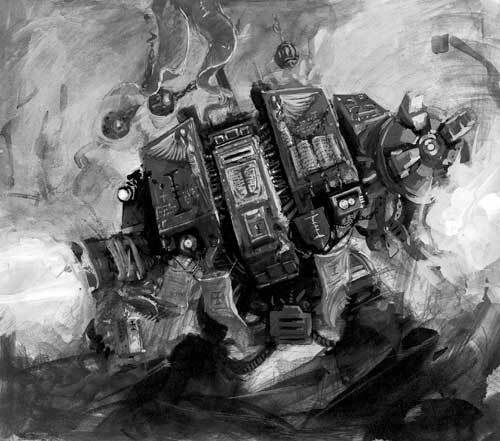 Deredeo – a forge world dread, providing anti air capability to the army as well as some more high strength shots. Armed with the Anvilus Autocannon battery, a twin linked heavy bolter and an aiolos missile launcher. It can split the missile launcher shots off and its auto cannon have sunder so it’s a bit of a powerhouse of heavy fire power. The plan of attack would be to have the Devastators and Deredeo form the back line deployment defences, targeting vehicles and flyers as priority. The Tactical squad will advance with the additional of Bray’arth as close support. They will block fire to the warlord with their bulk and soften up units as they advance and he will add some extra assault oomph to them. The Ironclads advance, leading the charge up close and personal where their high armour and high strength, low AP, attacks come into play. The Scouts will be deployed straight onto objectives in cover, ideally to hold them all game or provide distractions for the enemy. It’s not a competitive army. It’s slow and has a low squad count but it’s fairly resilient and will surprise a lot of opponents as it’s not a standard list. Plus who doesn’t love the image of a horde of giant robots charging across the battle field! That’s enough from me now. Comment below with ideas and suggestions for themes you would like to see me attempt to tackle or any feedback you have!